Accreditation is quite important to an international college like MUIC. Firstly, getting accredited is a stamp of quality assurance. It is a guarantee that MUIC’s quality of education is at par with its peers globally. Secondly, accredited universities have the opportunity to engage in a dialogue and conduct collaboration with each other that could only result in institutional improvements. The Tourism and Hospitality Division has been successfully assessed by both the ASEAN University Network-Quality Assurance (AUN-QA) and the United Nations World Tourism Organization TedQual in 2018. The Business Administration Division is currently undergoing accreditation under the Association to Advance Collegiate Schools of Business (AACSB). The Preparation Center for Languages and Mathematics (PC) received the NEAS Quality Endorsement in 2019, becoming the first language center in Thailand to achieve this international recognition. MUIC also prides itself on the achievements of its students, faculty members, staff, and executives. They serve as proof of the MUIC community’s commitment to academic excellence. NEAS is a globally recognised body that provides quality assurance services to English language teaching and vocational providers in Australia and internationally. 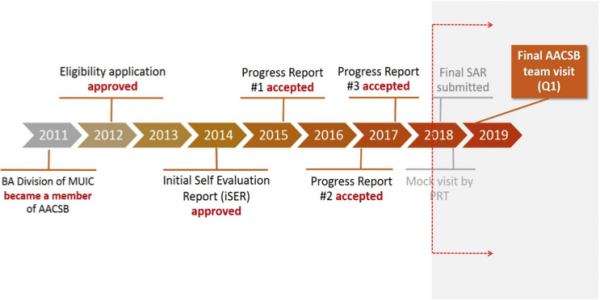 The NEAS Quality Assurance Framework establishes and upholds high standards, supports centres in demonstrating quality in their programs and services, and provides guidance in continuous improvement processes. The NEAS tick promotes the recognition of quality in education and training. NEAS endorses English language centres in universities, colleges and high schools. Endorsed centres are granted the NEAS quality mark, internationally recognized and valued by students, teachers, agents and governments. The Preparation Center for Languages and Mathematics (PC) successfully obtained NEAS Quality Endorsement on March 25, 2019. PC is the first language center in Thailand to achieve NEAS Quality Endorsement. The AACSB Accreditation Standards are used as the basis to evaluate a business school’s mission, operations, faculty qualifications and contributions, programs, and other critical areas. AACSB accreditation assures students and parents that the business school is providing a top-quality education. It also assures employers that AACSB-accredited business school graduates are ready to perform from day one. Less than 8 % of the business schools around world are AACSB accredited. MUIC has ensured the compliance with the AACSB standards by establishing mission and executing plans to achieve it focusing on strategic management and innovation, the sufficiency and deployment faculty and professional staff, effective teaching and learning, and academic and professional engagement. with extensive efforts from the BA division and unwavering supports, MUIC and BA division is expected to recieve AACSB accrediation by 2019. The AUN-QA has developed through the years to provide a firm foundation for ASEAN member universities to understand each other’s systems. 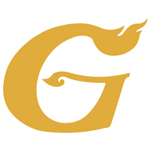 It preserves the uniqueness of each institution while promoting cost and expertise sharing among members. It has also been a forum where experienced university members can help newer partners. The network is now ready to expand its cooperation to share with and learn from its peers since quality assurance is a continuous attempt best accomplished by collective efforts, comparative approaches, and peer-to-peer collaboration. The THM Program was accredited by the AUN-QA in 2018 while the BBA Program was accredited in 2013. The Thailand Trust Mark logo displayed on the MUIC website’s home page is yet another tribute to the college, validating its commitment to internationalism and academic excellence. The Thai Ministry of Commerce recently launched the Thailand Trust Mark to promote the high quality of Thai goods and services not only in the domestic market but also in the international arena. Apart from a product category that includes the food, lifestyle, fashion and other industries, the service category covers medical, health and international education services. This is a voluntary certification that seeks to facilitate the continual improvement of tourism education, training and research programs through the promotion of quality standards. To this end, the system takes into consideration the coherence of study plans; infrastructure and pedagogical support; policies, tools and support mechanisms for administrative management; the existence of transparent mechanisms for the selection of the faculty and favorable conditions for their professional development; and the relevance of the content of the program of studies with respect to the needs of the tourism sector. MUIC’s THM program has the distinction to be the first undergraduate international program in Thailand to receive TedQual certification by the UNWTO. Mahidol University International College (MUIC) was awarded the gold medal for the Green Office Award 2016. The Green Office Award was organized by the Department of Environment Quality Promotion (DEQP) of the Ministry of Natural Resources and Environment. The purpose of the project is to express loyalty to His Majesty the late King Bhumibol Adulyadej and promote His Majesty’s royal duty in the field of natural resources and environmental preservation. The Green Office Award seeks to create awareness of environmental problems among office workers and encouraged them to make their own small contribution to positive changes in the environmental protection through their work habits. 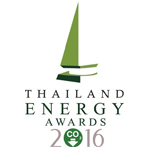 Mahidol University International College (MUIC) won the Thailand Energy Awards in the Energy Conservation in Building Control category in 2016. The contest was sponsored by the Department of Alternative Energy Development and Energy Efficiency (DEDE) of the Ministry of Energy. MUIC undertook several projects that promote energy efficiency in the workplace in order to reduce unnecessary energy consumption and at the same time create awareness among faculty members and staff.